You have decided to reduce your carbon footprint. You are making changes to the way you live, like buying hybrid cars and opening the window instead of using the air conditioner. You walk more and you drive less. However, what many do not realize is that if your goal is to reduce carbon emissions as efficiently as possible, Carbon offsets make perfect sense. 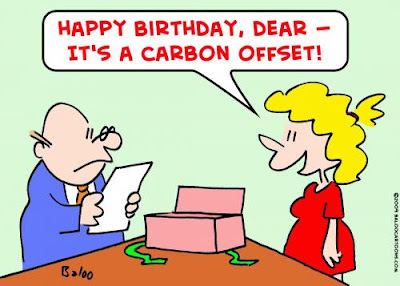 Carbon offsets are a popular way to go green and can be used in addition to lifestyle changes. But, they are often misunderstood. The first thing you need to know is that offsets can’t actually reduce emissions created by you at home. Often people cannot change the way they live. Consumers who purchase Carbon offsets realize that simple things such as using their hot water heater or travelling by airplane all contribute to Global Warming. So, they volunteer to compensate for their part in the growing problem through Carbon offsets. The approach is simple. To start, you need to understand your own carbon footprint. Retail businesses who sell carbon offsets often calculate this for you based on how much carbon you give off using their product. For example, how much electricity you use in your home. They can then provide you carbon offsets that match your output. Buying carbon offsets is a relatively straightforward process and can be compared to buying and selling shares in a stock market. No physical asset changes hands. It starts when a socially responsible business is authorized to sell certificates for the amount of carbon emissions they can reduce. Each certificate represents a small portion or share of that reduction. The businesses might be achieving emission-reduction through altered practices such as thermal energy retrofits; or through emission-friendly projects like reforestation or methane landfill recovery. Whatever it is, it must be proven to have eliminated emissions that would have normally existed otherwise without the funding. The certificates are then branded Carbon offsets and sold widely to consumers who want to “offset” their own carbon footprint. At last, when you buy a Carbon offset through your local reseller you are sending support to companies who are investing in carbon emission reduction. Big or small, everyone has a carbon footprint. Your first step is to reduce emissions wherever you can. What can’t be eliminated, can be offset. A combination of reducing and offsetting will help lead you towards a Carbon Neutral lifestyle and provide for a cleaner tomorrow.